In one of the most important debates in history in the world of technology on finding a middle ground on security and privacy encryption between technology companies and federal government. Click here to read all about the Apple’s encryption debate and their letter to the public. It also shows Google’s stance on the issue as they make more and more secure versions of Android protecting customer data. Hours before Sundar released these tweets, NSA whistleblower Edward Snowden tweeted on the fact that the Silence of a tech company like Google over the issue meant that they sided with the government. This has been a problem not only between Apple but between technology companies who’s goal is to protect its users and customers data. 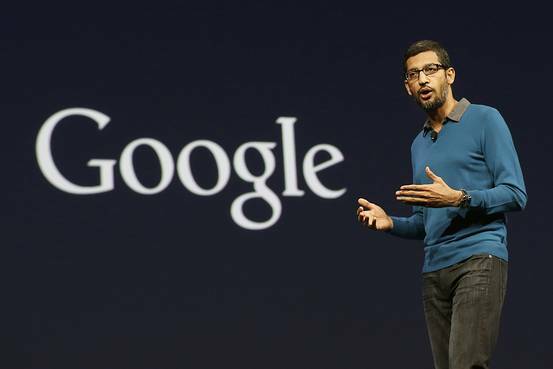 Google’s CEO further also encouraged public discussion on the matter. It is important that important and influential leaders in the world of technology weigh in on the matter as this could decide on how things will be sorted if the issue is to arise in the future. Jack Dorsey, CEO and co-founder of Twitter retweeted Sundar’s tweet on the issue reflecting the same stance on encryption as Sundar Pichai and Tim Cook. We still have no word from Microsoft’s CEO Satya Nadella or Facebook’s CEO Mark Zuckerberg addressing the issue. Everything from Microsoft’s Lumia event!